There are many advantages to pursuing a medical career. Healthcare jobs are in demand and there are a lot of various opportunities. Plus, you can make a big difference in the lives of many people. However, many individuals don’t follow their calling because they feel the time and investment are beyond what they can handle. Whether you’re just starting out or looking for a career change, becoming a medical assistant or nurse aide has many advantages. In just a few short months, you can receive the training necessary to pass a certification exam and be prepared for the workplace. ABC Training Center’s Certified Nurse Aide (CNA) certification program is completed in eight weeks. 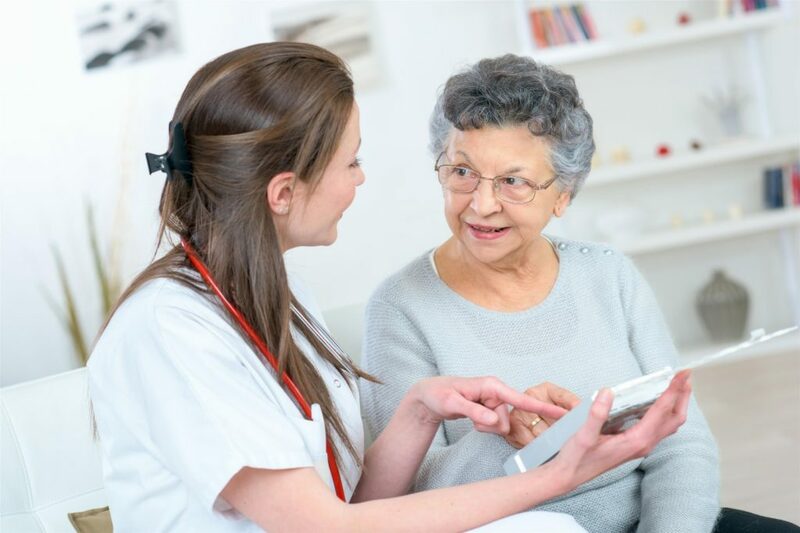 The home health aide program is just three weeks. Thanks to our program, you can be certified to work as a medical assistant in 24 weeks or complete the part-time option in 41 weeks. No matter what path you start with, a medical career is a great fit if your passion lies in truly making a difference in peoples’ lives. You don’t need a doctorate degree to work with elderly, disabled, and other patients with special needs. It takes patience and understanding, but if these are natural qualities for you, putting empathy to good use will be second nature. You will also have opportunities to save the lives of critically ill people and individuals in the midst of an emergency. In doing so, you can earn a salary above the average and higher than the minimum wage—but, then again, making another individual’s life more manageable and potentially saving them from life-threatening situations is just as gratifying, if not more so. While many types of jobs are hard to come by, this is not so in healthcare. Healthcare occupations such as personal care aides, diagnostic technicians, and physical therapy assistants are among the fastest growing. Not only that, but you can also find opportunities in any city, county, or state, or even internationally. The demand for medical care around the world is high, so nurses and assistants can pick the location of their choice, in settings from nursing homes to hospitals. Long after they complete a career training program NYC students can find new opportunities or further their education. Becoming a doctor is more feasible after you have a few years of experience under your belt. Medical Assistant is a great entry-level position. The skills learned open the door to additional training opportunities, and other segments of the healthcare field, from administration to patient care. However, gaining your first credentials often only requires a basic training course and certification. You will learn many skills in your first medical job. The flexible scheduling options of certification courses enable you to obtain additional training and certificates to advance your career. Beginning healthcare technicians and medical aides often enter the workforce at the bottom and move on to other specialized fields as they continue their education along the way. It’s often possible to get hired by agencies at the training site, as is the case with ABC’s CNA training program. Many people cringe at the thought of working in a traditional corporate office. With the excitement of a medical job come job security, the excitement of new daily experiences and opportunities, and benefits such as medical insurance, sick days, and vacation time. The hours vary with the position, but medical assistants can often find jobs that match their scheduling needs—you may be free to enjoy your evenings and weekends! If a healthcare career sounds enticing to you, contact ABC Training Centers at 718-618-5589 for more information about our training and certification programs.